We'd love to be a fly on the wall in these luxury watch firms since the Apple Watch was announced. After hundreds of years of plain sailing, they now have the world's most valuable company entering their market. And, as the music industry found out, and the TV industry is currently, Apple can be pretty cutthroat. Hence products like the IWC Connect. It's a small circular doohickey you attach to your watch strap to give it smart skills like step counting, calorie counting, measuring your distance travelled, tracking your sleep etc. It's a neat idea, as it basically lets you keep your current timepiece without ruining the design. It just adds a little nubbin to the strap. And who's going to notice that? 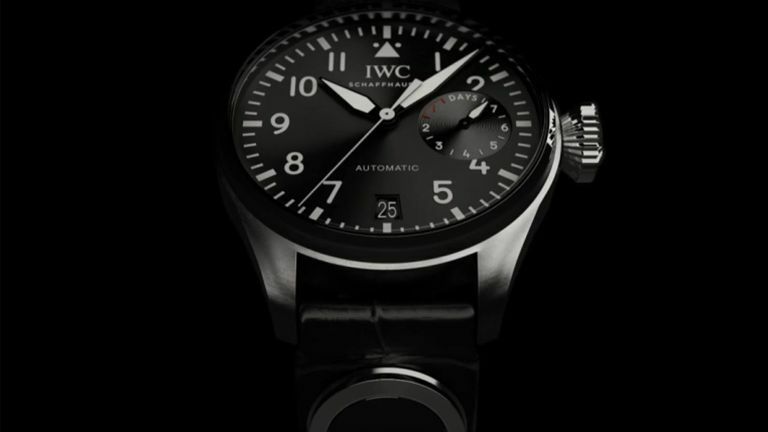 It's made by IWC Schaffhausen. But IWC isn't the only luxury watchmaker getting into the aftermarket smart strap game. Montblanc's Urban Speed e-Strap, for example, is a strap with screen built in. This means you can use it as an activity tracker, for notifications and even for controlling your smartphone. The Find-Me function, meanwhile, lets you find your phone, as long as it's within 30m. Pebble is also investing in smart straps for its new timepiece. And it's opened up the gates to anyone who wants to have a go. The firm has pumped in $1 million to back the best ideas. The beauty of these aftermarket options is that you don't need a new timepiece. How useful the IWC add-on is depends on how good the app is, and we'll have to wait and see on that front. But when the only alternative is paying to take a massive step down in terms of watch quality, it looks pretty tempting to us.